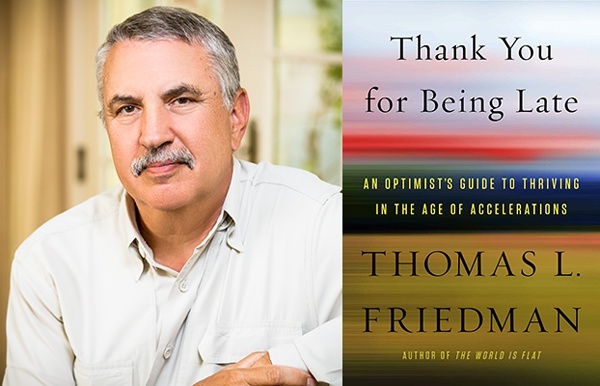 Lately, I’ve been reading journalist Thomas Friedman’s current book, Thank You for Being Late: An Optimist’s Guide to Thriving in an Age of Accelerations, and I’ve been reflecting on some of the book’s messages. The book focuses on the new, fast-moving world that technology has created for all of us and how we should adapt to living in it. It’s not explicitly about lawyers or trial preparation. But I think there are three lessons that lawyers and trial consultants can learn from Friedman’s book. It’s important to set aside time to think and reflect, to look at the bigger picture. That’s what Friedman meant by “being late” and its virtues. For the trial lawyer and consultant, the message is straightforward: Get off the constantly turning hamster wheel of time. Don’t focus endlessly on the myriad documents, motions and combative correspondence with opposing counsel in the case. Think of what the broad narrative should be. Ask yourself what the case is really about, not what you were doing in the last 15 minutes. On page 1 (yes, page 1), Friedman shares this critical nugget: “I enjoy taking the complex subject and trying to break it down so that I can understand it and then can help readers better understand it.” That’s what trial lawyers do, or, at least, should do. You should be constantly aware that in any trial, the most important job of the lawyers is to take a complex subject and break it down into easily understandable pieces and concepts. Newspaper reporters know that this is the essence of what they do. They amass a great deal of knowledge and then they build a structure that simplifies it and makes it comprehensible, without glossing over important facts and distinctions. This is not easy to do when writing about a politician’s speech, an automobile accident, or some other journalistic topic; it is even harder to do when the subject matter is a patent on a smartphone component or a decade’s worth of the history of an industry. But this is what jurors and judges want and need. Friedman emphasizes this type of invaluable simplification in his book. Lawyers and trial consultants need to be like journalists in another crucial way. They need to ask the key questions: Who, what, when, where and why. They need to ask them to witnesses, to their clients, and even to each other. Those big W’s of journalism are there for a reason. They exemplify what the human mind is interested in and how the mind builds a story from pieces of information. People who have been both lawyers and journalists have often remarked at the similarities of the two professions. That’s one of the most important similarities. Ask the key questions.